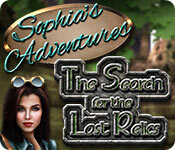 Sophia's Adventures: The Search for the Lost Relics is rated 2.6 out of 5 by 9. Rated 5 out of 5 by deejo11 from I really enjoy the game...good thing I tried it out! This is my very first REVIEW of all the games I've tried, bought and deleted after playing to make room for more games to try, maybe buy and then delete! All the instructions are in the "INTRO" of the game. I took my time and reached the 14th level of the 1st Stage in one hour. There are more things to do in the game, but I'm not telling all the info in this review. Just Give it a Try! It's FUN!!! The only reason, I typed as much as I did about the game is because of the low rated reviews. This game is interestingly relaxing. I read the "8" reviews by others (None 5 stars!) and what I heard was that I should try it because it couldn't be that "hard" and if it was I wanted to know if I could tackle it. Well, after reading the "Intros" to get all the "info" for "How To PLAY the Game"; I found it so "EASY" to play. No problem with the details. 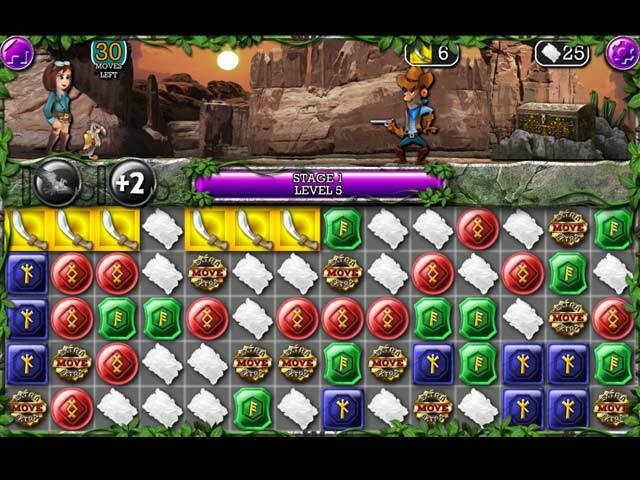 You just clear the "number" of colored relics shown above the "enemies' heads in a string of 3 or more by clicking and dragging the mouse through each of the same color in the "vertical" / "horizontal" / "diagonal" paths and when you grab as many as you can, release the mouse and watch the "number" above the enemies' heads reduce: meaning she is killing them. Watch how many "moves" you have left and what you should be clearing from the board or you will have to do the level over again. There are squares that say, "extra moves" (3 or more) you can click and collect them and get the same amount added to your "moves" collected in either vertical, horizontal or diagonal drags of your mouse. The "eagles" need to be collected also. Each time they are near each other click and collect and they will help you finish the board with something helpful. All bombs can be clicked on at any time to help remove the relics on the board representing the numbers above the enemies' heads. Truly, it is a fun game. Oh yeah, I got the game for "FREE" with a coupon I earned from Big Fish Games. Thanks, Big Fish Games. Rated 4 out of 5 by Katie318 from A Challenge and Strangely Addicting I felt compelled to review this game because I am enjoying it, and I felt the other low reviews may detract others from trying it. Every level is a challenge. The tutorial at the start tells you everything you need to know, but the only way I found to access it a second time is to start another player profile. That way you can watch the tutorial again, which makes more sense after you've played!, and return to your original profile and game. The chains can be a bit clunky to form, but once you get the hang of it it's ok. This game is all strategy, which I welcome. Give it a try! 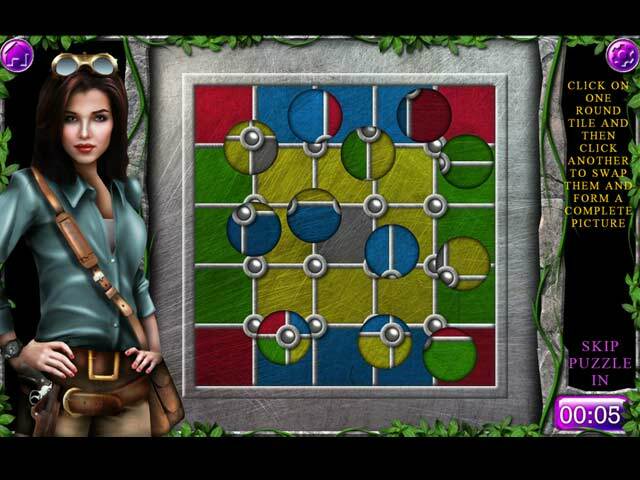 Rated 4 out of 5 by kim0530 from One of those games There comes a time, when you come across a game with mixed feelings. This is one of those times, for me. On one hand, I like it because it's very challenging. But on the other hand, it can get confusing. I gave it a four star rating because it is challenging and the quality is great . I'm sorry this is no help to anyone but all I have to say at least give it a try. This game is either you like it or don't. Some may like it others don't. Will I purchase this game. Yes, when I get a free game. Or go on sale (buy one get one free). Rated 2 out of 5 by tacomataz from Did not like it This is one of those games I just did not care for. Limit ed moves on a level is the main reason for not liking it. The graphics are good and the idea for the story line is good. I know that there are people the love games with a limit on moves, and that is ok, I just don't care for them. Rated 2 out of 5 by tejasgal from Clunky Based on demo: Clunky and difficult to move with awful music. Story could have been ok, but left me cold. Limited moves AND chain linking did nothing to inspire me. And, it was very difficult to make a chain because it would not want to make diagonals even though you could, so it would undo all my move when tried to make one, meaning you spend way to much time trying to make the same move over and over again . And the limited moves was ridiculously small numbers; like 6 moves in very first level. It might just be me but I was not interested in trying to play this game after a very short time and taking forever just to get past first level. Try for yourself. Even though I play many match 3 games, this won't be one of them.